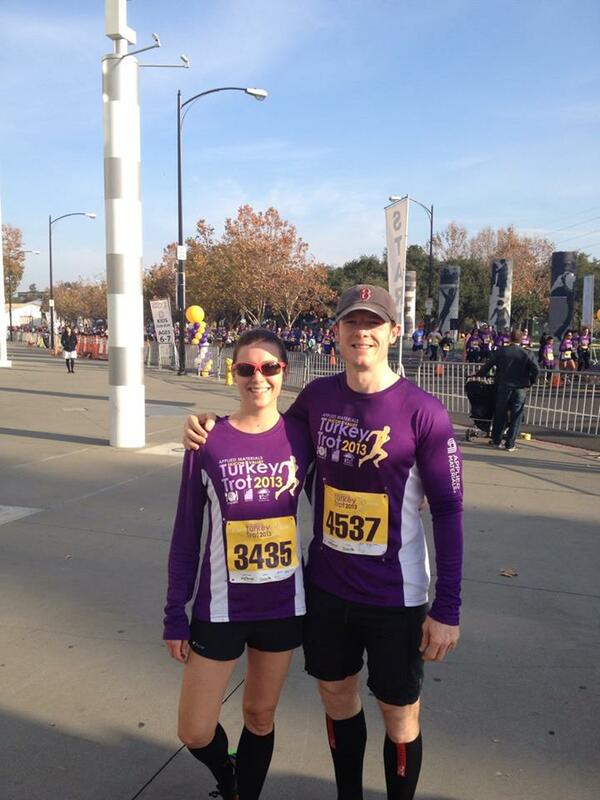 Silicon Valley Turkey Trot 10K Recap: We Got Our Gobble Gobble On! Running the SV Turkey Trot San Jose-style—people wear the shirt for the race during the actual event out here! 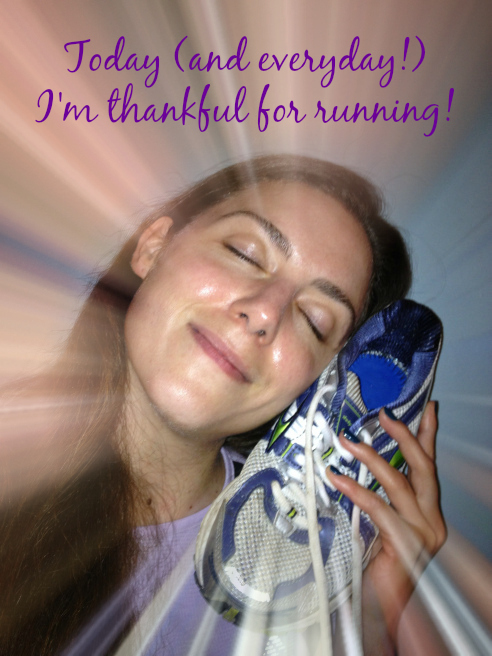 Running on Thanksgiving is typical for me, but I can’t remember the last time I signed up for an organized trot. Registering for the Silicon Valley Turkey Trot 10K was a no brainer—it fit perfectly into my training plan, and it was sponsored by the Sharks Foundation (which was enough to convince Michael K. Farrell to run). Bright and early Thanksgiving morning, Michael K. Farrell and I donned our race tees, and joined the purple-clad crowd in the “6 to 7” corral. My plan was to do an easy 6 miles, so lining up just behind the pros made me anxious. (I didn’t want to hold sevens for the entire race!) My fear dissipated shortly after taking off, when I realized most of the runners around me weren’t dropping into a higher gear at the beginning either. One of the largest trots in the nation, 23,552 people participated in the Silicon Valley Turkey Trot 10K and 5K events this year. That’s a lot of people! Surprisingly, though, the course didn’t feel congested. The route started toward downtown, hooked left through Japantown, then meandered over to The Alameda, and took us on a tour through the neighborhood. I love running down the middle of a street! 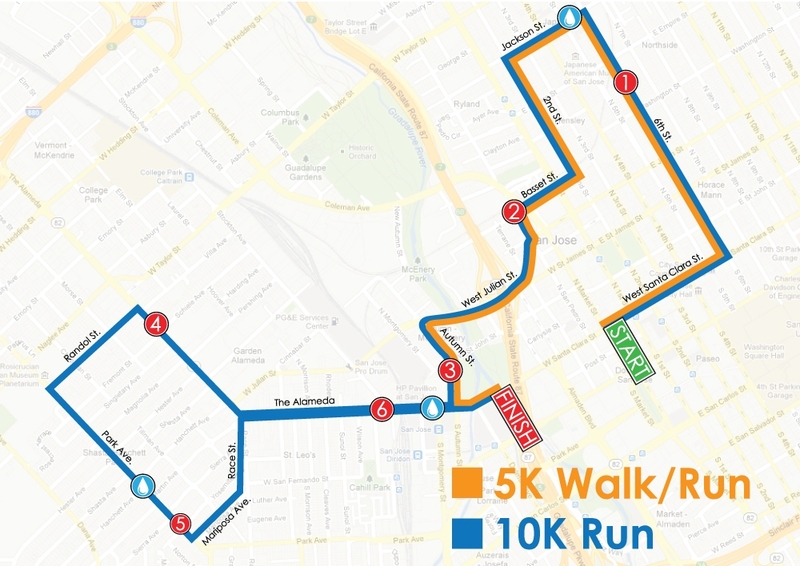 The SV Turkey Trot course was especially fun because we took over a mix of city streets and residential roads. Michael K. Farrell was waiting for me with a big smile just beyond the finish line. I pretended to be annoyed that he had attempted to leave me in the dust at first, and then gave him a huge sweaty hug. The rest of our day was spent with food and friends, which is exactly how Thanksgiving should be! I hope you all enjoyed the day! Which moments from last week are you still thankful for?